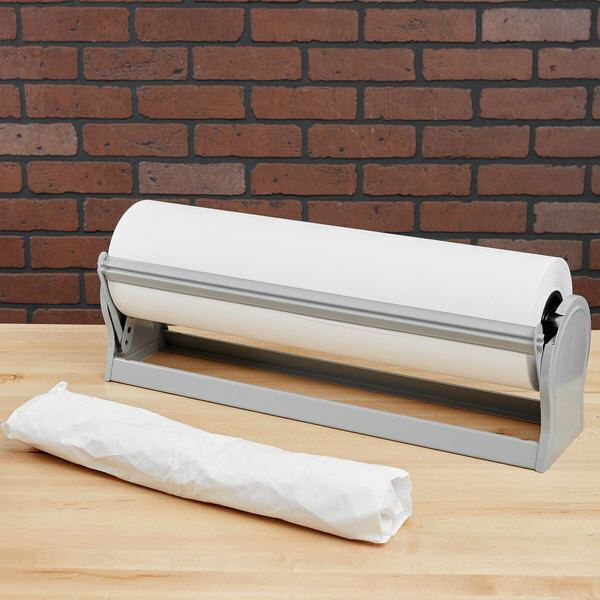 Package and display your fresh meat, poultry, and seafood with this 24'' x 700' 40# white butcher paper roll. 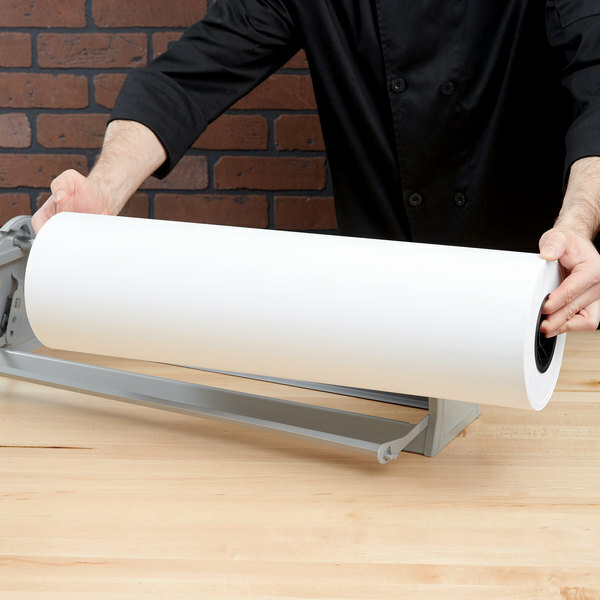 This 40# butcher paper roll is perfect for your meat market, grocery store, or deli! The crisp white color is easy to label either by hand or with a printed sticker. 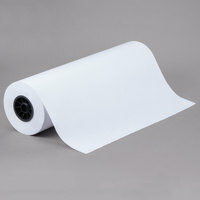 The large roll also makes this white paper a convenient alternative to disposable white table covers as you set up craft tables or casual dining picnic tables. "This is an awesome product and a great value! I can purchase it on this site at half of the price of my national food service provider!" 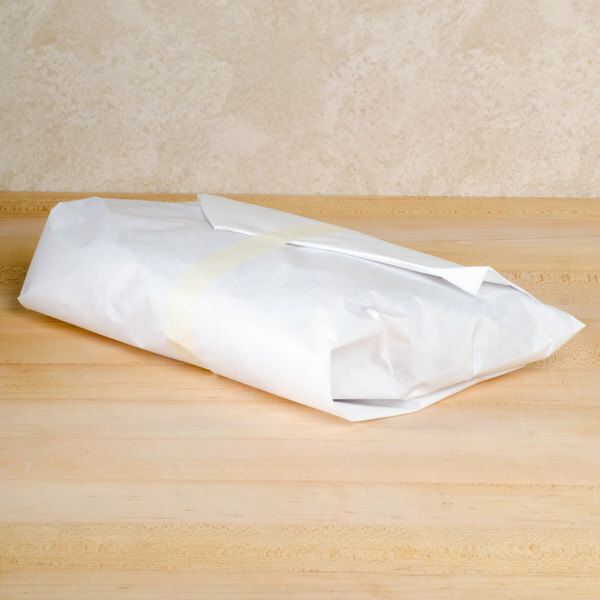 This FDA approved white butcher paper is a must-have item for your establishment! Uncoated white butcher paper is versatile and easy to use. Great for wrapping subs and sandwiches, covering tables, or doing arts and crafts, this disposable paper makes cleanup a breeze! This 700' roll offers an ample supply for minimal replacements, and you can choose exactly how much paper you need for each job. 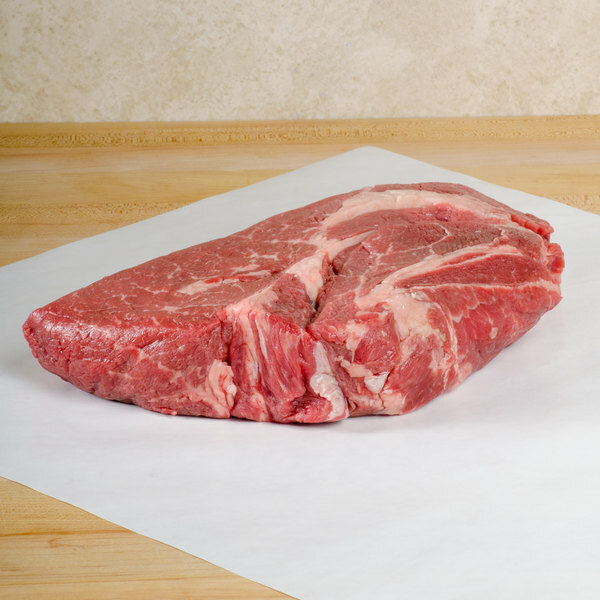 This thick, 40# butcher paper helps keep your meat and seafood well-insulated to retain freshness longer. We like to use butcher paper to cover our dining tables. 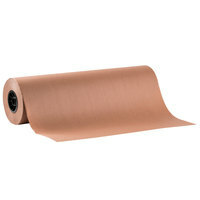 This 24 inch wide paper works great for seminar or conference tables. The paper comes in a 700 foot roll. we have been using this paper for over 3 years and will continue to use it in the future. it is fantastic and prevents freezer burn.. our customers love it and you cant beat the price. I typically use butcher paper for a couple of different reasons. One being wrapping meats during smoking in order to retain moisture and speed up the cooking process. While I prefer brown butcher paper this white version of it does suffice pretty well. The sturdiness doesn’t seem to be as strong as the brown counterpart but with the amount that you get on the 700 foot roll it’s not a problem to double up if necessary. 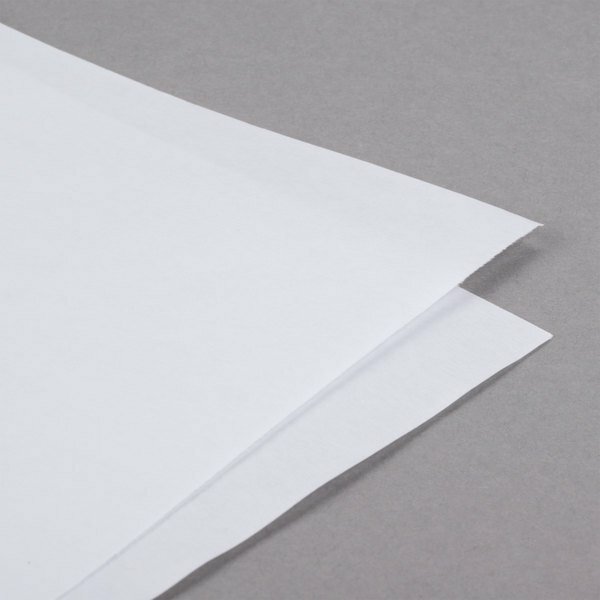 Great to use as a table covering and nice and thick paper. Doesn't rip easily and also works great to color on when kids are done. This is an awesome product and a great value! I can purchase it on this site at half of the price of my national food service provider! Use this to wrap smoked fish in. It is less feet than what we had before but was much cheaper. Thick paper. Will order again. Ordered on Sunday and it was here in the same week! 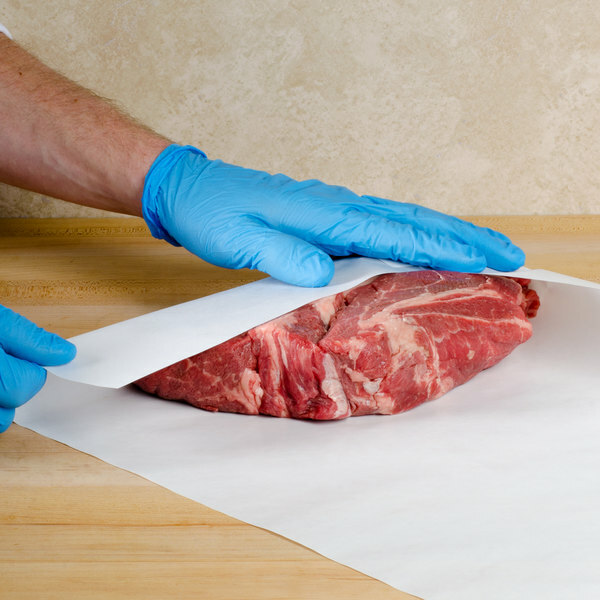 This is high quality paper that works well for wrapping fresh fish and meat to extend the freshness!! Great large roll fits on stand for easy use!! I use this paper to line my bird cage trays. I can purchase similar paper in a roll with a more appropriate width from a pet catalogue but it is outrageously priced compared to this roll, even with me needing to trim more than 2 inches from the width. I recently invested in a new smoker and have been making some wonderful pulled pork and beef brisket. My favorite though is RIBS! I've made myself a nice food preparation area and use this butcher paper to cover the work table while I prep and rub the ribs. It makes cleanup a breeze, and I can use it to cover the meat while the rub works its magic, and wrap the trimmings that I will use at a later time. The butcher paper is perfect for these uses!